One of the North Brush Park residences that may not survive the renaissance of this district is the Albert Kahn designed William Livingstone House on Elliot. 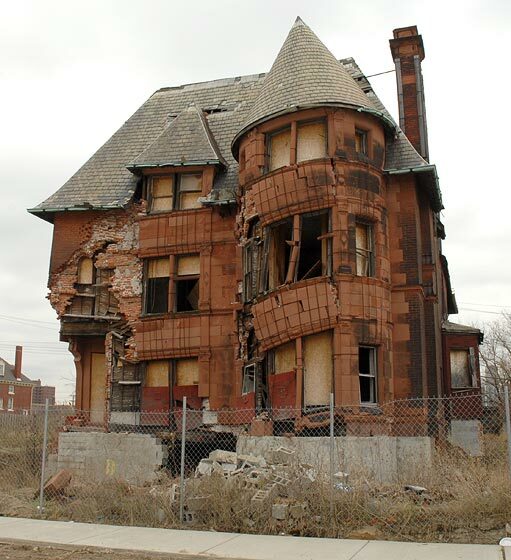 Dubbed "Slumpy" by DetroitYES forum photographers, it is emblematic of the sad beauty that once characterized Brush Park. Slumpy has further collapsed since this picture was taken in early 2007. An excellent description of this house and Livingstone can be found on Reynolds Farley's website. 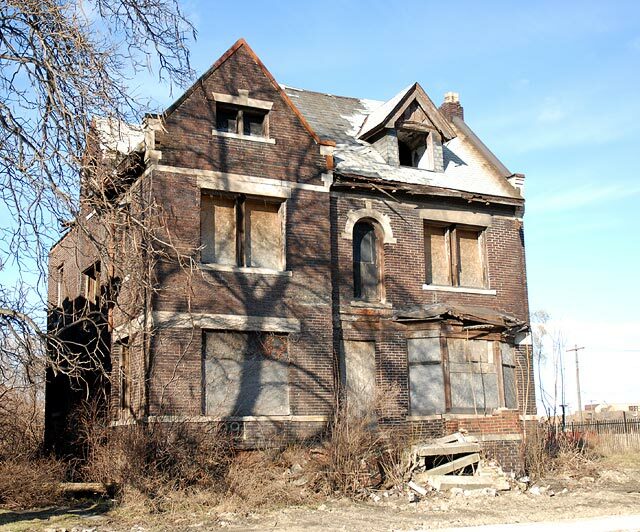 Nonetheless, there are still many houses that clearly can be restored and with the rise of Brush Park interest and speculation in these properties is intense.